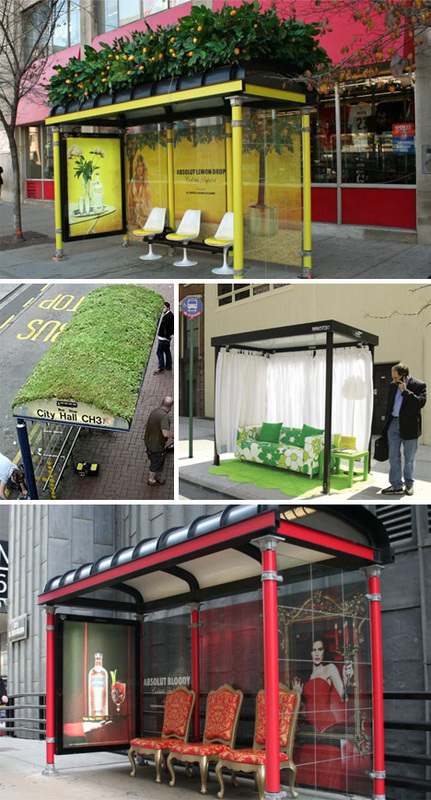 Most bus stops are… less than stellar. As functional as anything can be in this world, the form is totally utilitarian and dull. Thankfully not all municipalities believe this should be the case. 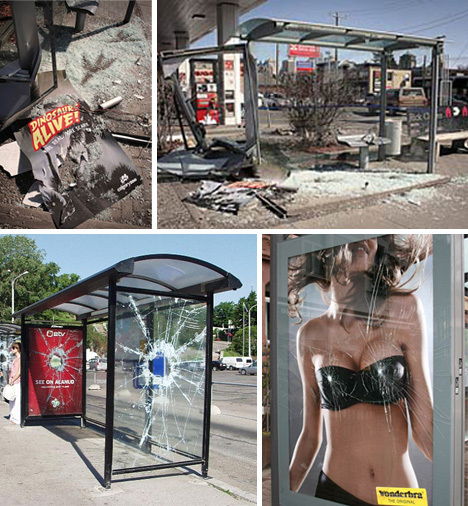 Unfortunately, most bus stop excitement is purely advertiser-driven guerilla marketing. 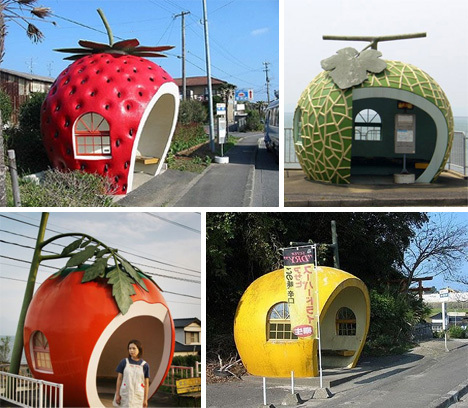 Fruit-shaped bus stops have an innocent quality about them that’s hard to define. 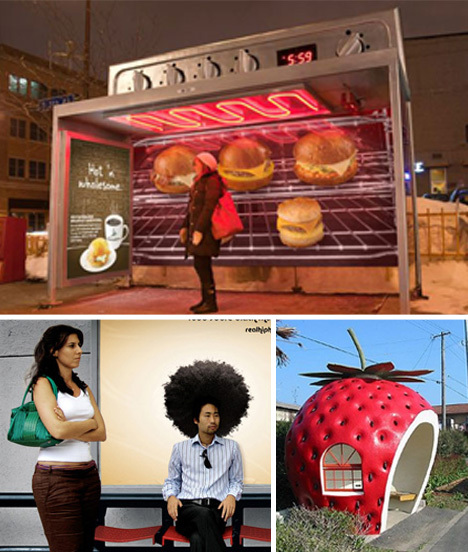 With no apparent advertising motive, these are some of the greatest “just because” bus stops we’ve seen. Here, relax! Have some fun while waiting for the bus. It would be excellent if cities realized that small touches would make the wait leagues better. Bus stop destruction definitely catches the eye. Whether it’s a bust that is literally breaking through the glass, or an ad for a dinosaur museum… a little destruction can make all the difference. Bus stop patrons are typically bored. Give them something to fool around with! Throw in some branding, no one will care; they’ll simply be glad they had something different to hold their attention. 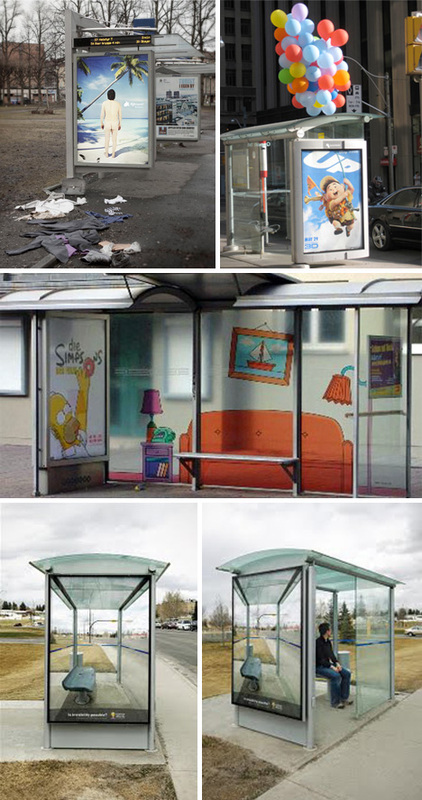 A few striking advertiser bus stop makeovers make the disparity between a spruced-up stop, and a typical one, quite jarring. Why can’t they all look this great? Thanks to Absolut and Ikea, some stops can. 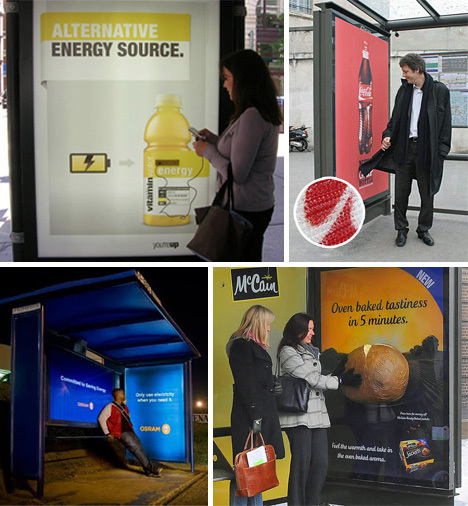 A truly clever guerilla marketing campaign can turn a bus stop into a creative exercise, almost like a scene from a commercial. Hungry on the morning commute? These stops won’t help. At least one of them provides some much needed heat to cold commuters. 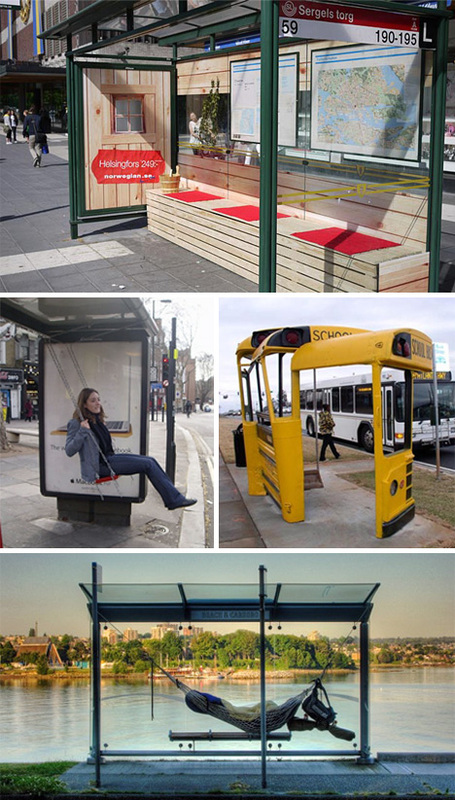 Interactive bus stops can change the outlook of the entire day. These examples allow one to charge up their phone, get stuck on their new grip bottle, see intelligent electricity in action, or smell a warm baked potato. 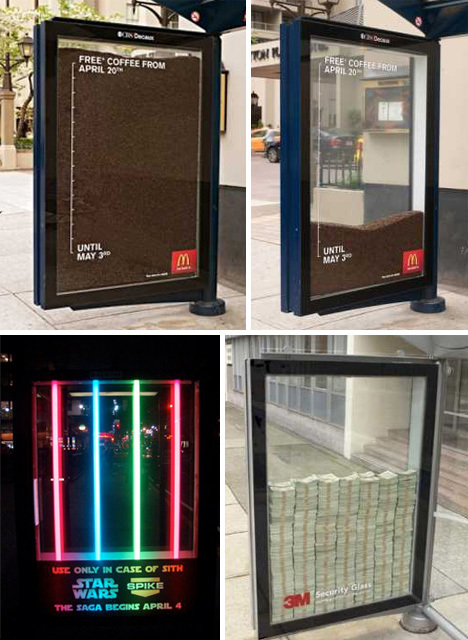 McDonald’s showed the deadline of their free coffee offer with a creative experiment in guerilla marketing. 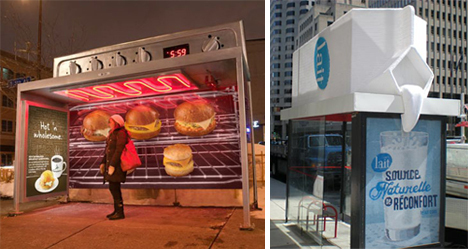 Star Wars lightsabers light up one bus stop, while 3M safety glass tempts commuters at another stop. 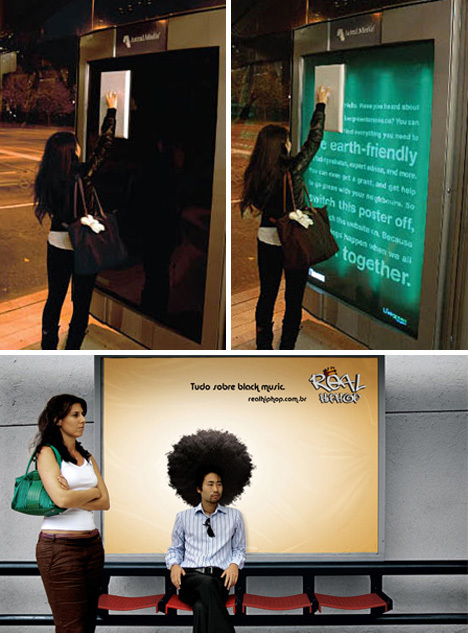 These bus stop ads have a depth that can’t be achieved anywhere else. 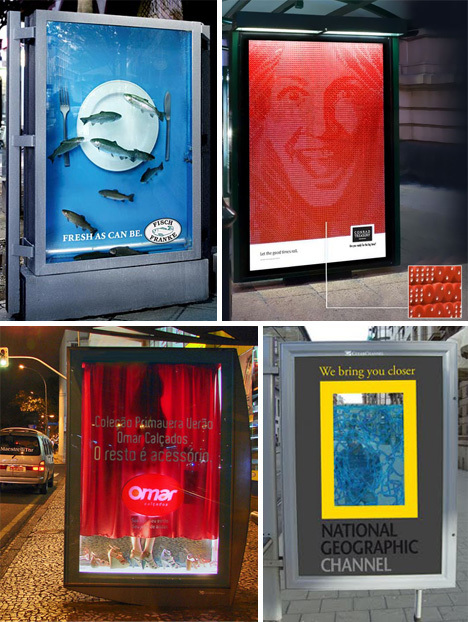 Real swimming fish, an ad made of dice, a living ant farm, and a seductive display are all treats for the weary commuter. Interested in what happens when these commuters get on the bus? Check out this crazy bus art!